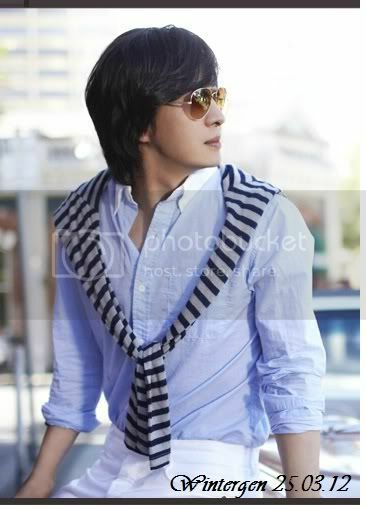 Singer and actor Ryu Siwon (36) will sing the theme song of a Japanese drama. His albums have ranked high on the Oricon chart upon their release in Japan. The song is “Cafe Wonderland” from the drama “おちゃべり,” a new daytime drama airing on Mainichi TV and TBS-TV starting March 1. “Cafe Wonderland” will be released March 11 as Ryu’s 9th single title and his first this year, which marks the 5th anniversary of his debut in Japan. Ryu will also appear at the end of every episode of the 20-episode drama and deliver a 15-second “love” message targeting married women. Ryu recorded the theme song last Jan. 30 at Universal Studio Japan in Osaka. He says the song is very bright and the lyrics cheerful. As for the 15 second “love” spot, he says married women will be happy to hear the words as if spoken by their husbands.